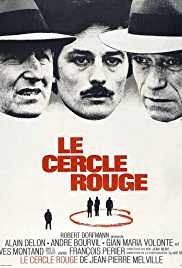 Le Cercle Rouge Franco-Italian crime film set mostly in Paris. 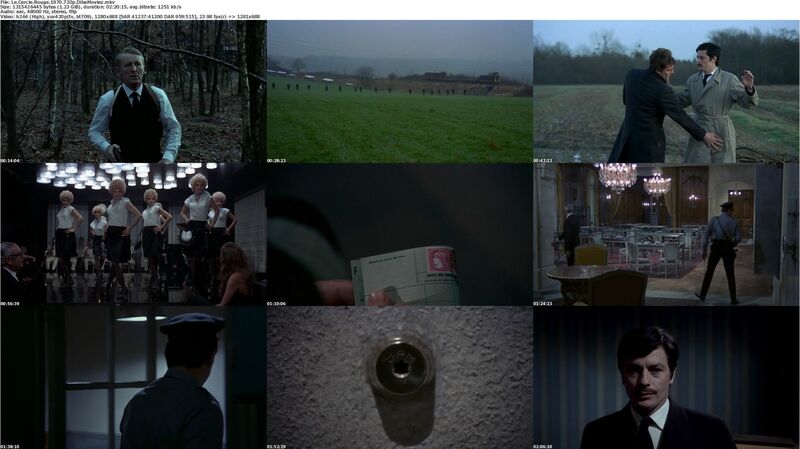 It was directed by Jean-Pierre Melville and stars Alain Delon, Andre Bourvil, Gian Maria Volontè and Yves Montand. It is known for its climactic heist sequence which is about half an hour in length and without any dialogue. In Marseille, a prisoner named Corey is released early for good behaviour. A warder tips him off about a prestigious jewellery shop he could rob in Paris. He goes to the house of Rico, an associate of his with whom his former girlfriend now lives, where he robs Rico of his money and gun. Then he goes to a billiard hall, where two of Rico’s men find him. After killing one and taking his gun, Corey buys a large car and, hiding the guns in the boot, starts for Paris. On the way, he stops at a roadside grill to eat.